Buying or selling a home can be one of the biggest financial decisions made in one's lifetime. Most of the time the process isn't easy--it can be stressful and overwhelming, but you don't have to go through it alone. Real estate agents are licensed experts and should be able to guide you step-by-step through the home buying the process. Meaning, the best thing you can do for yourself is to pick out an agent that is qualified to help you with your housing needs. Follow this advice below to ensure that you pick an agent that will satisfy your needs. 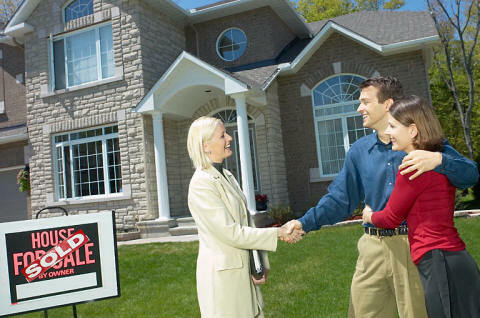 Start with an agent that is familiar with the neighborhood or area in which you are interested. Whether you're looking for a buyer's agent or a listing agent, you'll want to make sure the representative has a good idea of what's going with the market in that area. Your neighborhood can be a good place to start. Keep your eyes out for signs and other marketable material. Also, talk to your neighbors. There is nothing more trustworthy than hearing a neighbor or someone you know well give a first hand opinion on someone to do business with. Chances are if they had a really good experience, so will you. If you want to get really involved, drop into an open house to see the agent in action. Once you pick an agent you feel good about working with, make sure to interview them and ask the questions you need to know. Think of it almost as a hiring process. You'll want to meet with a few candidates and get a feel for their experience and expertise. Asking for references is always helpful, too. Make sure they are personable. Even if you find the most qualified agent but can't communicate on a comfortable level, the whole process will not be as enjoyable. The agent should be selling you on why they are the perfect person to sell your home or help find your next home because we all know that if you can't sell yourself, you probably can't sell a home worth a few hundred thousand dollars. Find out the credibility of the company the agent works for. Know whether your agent will actually be the one preparing all your documents, or if there is an assistant or other team members you will also be coordinating with. Just because you get a hold of someone on the phone does not mean they will actually be the ones to show up and help you with your transaction. One mistake a lot of buyers or sellers make is to dive into the talk of numbers right away. If you build a relationship with the agent first, it's usually easier to negotiate the fees. Likewise, don't always necessarily go with the agent with the lowest fees. It might mean that he or she is less experienced and is just finding a way to snag the deal. The right agent will be able to best suit your needs while not overcharging you on any fees. Do your research, ask around, and stay informed on what's happening in the market. The better educated you are on the subject will only help make your home buying or selling experience the best. Remember to have an open mind and know that communication is key. If you follow these steps, you should have a qualified agent in no time.